Charles Manson Grandson Wins Legal Battle Over Cult Leader's Body : The Two-Way At least three people claimed that they had a legal right to dispose of Manson's body. His remains have been stored in California's Kern County since his death in November. At least three people claimed that they had a legal right to dispose of the body of cult leader Charles Manson. Now, a court has ruled in favor of Manson's purported grandson Jason Freeman. Manson died in November while serving a life sentence for directing a notorious killing spree in Los Angeles in 1969. Since then, his remains have been stored in California's Kern County as the legal battle played out. Freeman did not immediately clarify his plans for disposing of the body, according to The Associated Press, but has "previously said he would cremate and spread the ashes of Manson and put to rest 'this so-called monster, this historical figure that shouldn't have been blown up as big as it was for all these years.'" 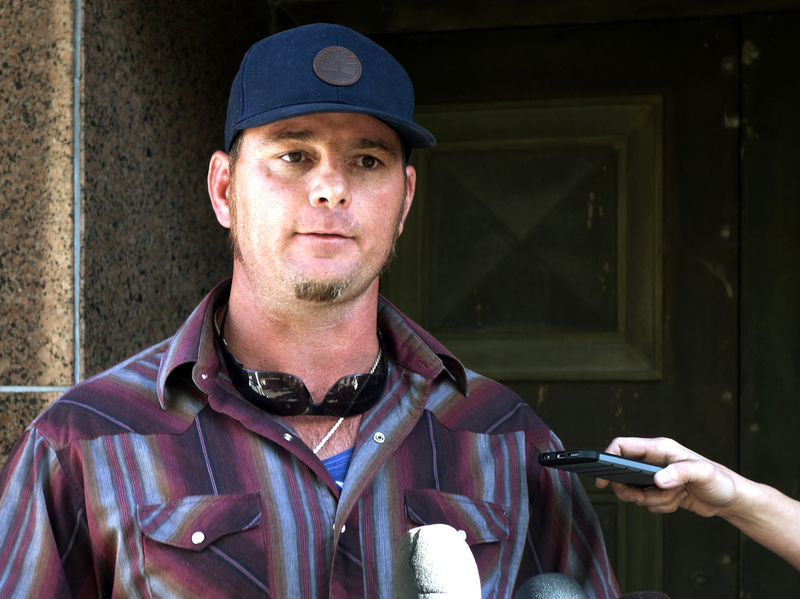 Jason Freeman, Charles Manson's purported grandson, speaks to reporters outside court in Los Angeles on Jan. 26, 2018. Freeman, whose grandmother was Manson's first wife, was one of several parties trying to get control of the notorious criminal's body since he died in November. 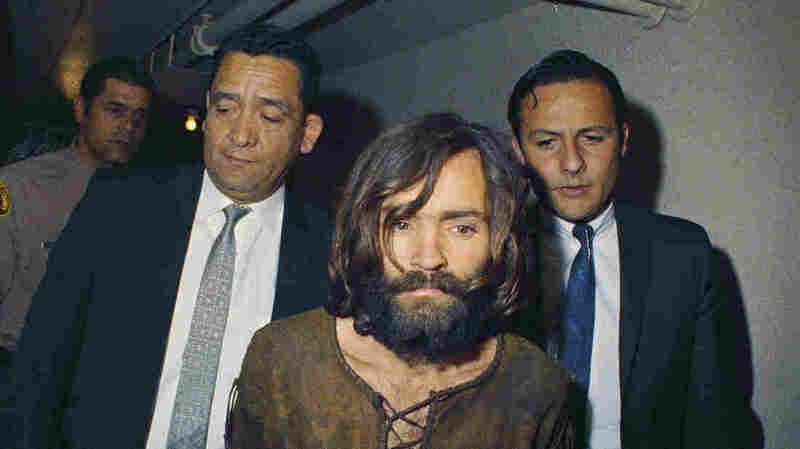 Manson's cult killed seven people over the course of two nights in 1969, including actress Sharon Tate, who was pregnant at the time. This legal fight over the cult leader's remains "foreshadows what lies ahead as the same competing camps wrestle for control of the estate," the wire service adds. Kern County Superior Court Commissioner Alisa Knight stated in her ruling on Monday that Freeman is Manson's "surviving competent adult next of kin," which means that he will determine what happens to the remains. A man named Michael Channels submitted a purported Manson will that is dated to 2002, according to court documents. The AP says that Channels is a "pen pal who collected and sold Manson memorabilia." That purported will leaves all of Manson's estate to Channels, and the probate court found some aspects of it require further proof, including the fact that Channels is also one of the witnesses to the will. A purported son of Manson, Michael Brunner, objected to Freeman's claim. Brunner later disclosed that he was legally adopted by his grandparents, the court ruling states, which disqualifies his claim. Freeman's attorney, Dale Kiken, told the AP that he expects Manson's ashes to be disseminated over a body of water. "From a logical standpoint, there's a great benefit to a public scattering of his ashes, not just for finality for his relatives but to everyone affected by Mr. Manson," Kiken said, according to the wire service.